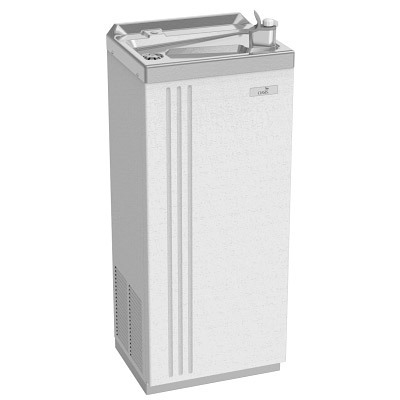 The Oasis PLF16FAW Water Cooler features water-cooled condenser, not air-cooled and are designed for installations where high room temperatures and/or dust conditions are present. Maintenance is reduced in dusty atmospheres since condenser coil can not clog. Cabinet finish shall be Sandstone powder coated paint on galvanized steel or brushed stainless steel. Cooling system shall use R-134a refrigerant. Shall be listed by Underwriters Laboratories to U.S. and Canadian standards and conform to European Union Directives.